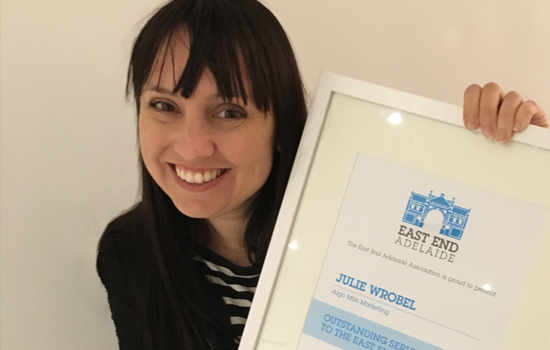 Managing Director, Julie Wrobel, was recently awarded a certificate of Outstanding Service to the East End by the East End Coordination Group (EECG). Julie served as a volunteer on the East End Coordination Group committee for seven years, held the position of Coordinator for five years, and today Algo Más Marketing support the Group also. The EECG is a membership-based organisation run by a group of dedicated local East End business owners and residents.